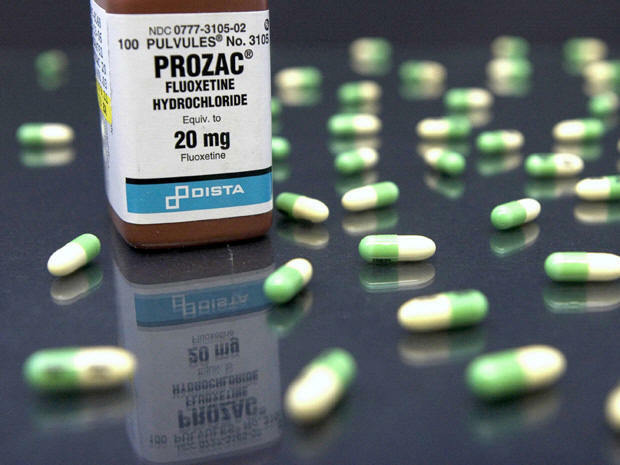 A Winnipeg judge’s ruling that a teenage boy murdered his friend because of the effects of Prozac will not be appealed, confirming an apparent North American first and reviving debate around the widespread prescription of anti-depressants to young people. Justice Robert Heinrichs concluded the 15-year-old boy was under the influence of the medication when he thrust a nine-inch kitchen knife into the chest of Seth Ottenbreit, a close friend. Although the killer pleaded guilty to second-degree murder, the judge cited the drug’s alleged side effects as a reason not to raise the case to adult court, and to mete out a sentence last month of just 10 months – on top of two years already spent in jail. A spokeswoman for the Manitoba Justice Department said this week prosecutors have decided not to appeal the provincial-court decisions, which were earlier met with outrage from Mr. Ottenbreit’s family and friends. Both the boy’s lawyer and the psychiatrist who testified on his behalf say it is the first time a criminal-court judge in North America has made such a finding. Prozac is meant to curb the effects of depression, but Justice Heinrich concluded it set off a steady deterioration in the young murderer’s behaviour. Yet the empirical underpinning of his conclusion, and the pros and cons of young people taking Prozac and other “selective serotonin reuptake inhibitor (SSRI)” anti-depressants, seem less clear-cut. Justice Heinrichs relied largely on the expert testimony of Dr. Peter Breggin, a controversial American physician known for his outspoken opposition to the use of virtually any psychiatric drug. Some other experts say scientific evidence of a link between the latest anti-depressants and homicide is thin. Studies have established such drugs can increase the risk of young patients having suicidal thoughts. Their tendency to lift inhibition could also release some hostility or violence lurking in a person’s character, said Dr. Jain. Small studies like one he co-authored in 1992 have also suggested that the drugs can trigger short-term mania, especially in bi-polar disorder patients. There is little or no scientific evidence directly linking the anti-depressants and serious violence or homicide, though, he said. Still, the official “product monograph” approved by Health Canada for Prozac says the drugs are not recommended for use on adolescents, and warns that agitation, hostility and aggression might ensue. Doctors are allowed to prescribe medications “off label” to patients even when the approval does not expressly permit it. Specialists in Winnipeg responded to concerns voiced by the accused’s parents by actually increasing the dose, said Greg Brodsky, the teenager’s lawyer. SSRI drugs have a contentious track record. They were hailed originally as a safe alternative to older anti-depressants, then clinical-trial results came to light in 2004 that suggested they increased the risk of children and adolescents having suicidal thoughts. Other studies have indicated they are effective in patients with major depression, but little better than a placebo for mild to moderate cases. The Winnipeg murderer had a history of smoking marijuana, had abused prescription drugs and “experimented” with cocaine, but was trying to break free of that background when a family doctor prescribed Prozac for depression in July, 2009. On Sept. 20, the accused met with Mr. Ottenbreit and another friend at his house, after the two friends had earlier stormed into his home, allegedly damaging the floor. The killer and Mr. Ottenbreit shared a cigarette, before the accused pulled aside a sweater on the floor of his garage, revealing the knife. He picked it up, “got this weird look on his face,” then abruptly stabbed his friend, the other boy told police. “They were in my house, they dented the floor, I had nothing else to do but to stab him,” he told police later. Dr. Keith Hildahl, clinical head of Winnipeg’s Child and Adolescent Mental Health program, testified that the Prozac might have played a role, but concluded on balance that his behaviour that summer was largely a result of the tense relationship he had with his parents. Dr. Breggin, who has testified in a number of U.S. cases where anti-depressants allegedly led to murder or other violence and reviewed the Winnipeg case, pointed the finger of blame at the medication. Dr. Breggin’s long-standing criticism of psychiatric drugs and opposition to the view that psychiatric problems have biochemical roots have prompted some supporters to call him the “conscience” of the speciality, and some psychiatrists and patient advocates to condemn him as a harmful influence. Dr. Sidney Kennedy, psychiatrist-in-chief at Toronto’s University Health Network, said young people prescribed the drugs should certainly be closely monitored for side effects, but it would be wrong to shy away from using SSRIs on teenagers when necessary. In fact, a 2007 study found that rates of actual, completed suicides jumped as use of the drugs on young people dropped amid the newfound concerns, suggesting they might have been saving lives before. “In the large group data, SSRIs do a lot more good than harm,” Dr. Kennedy said.